Today I am going to share with you the ‘6 keys to success’ in attribution modelling. 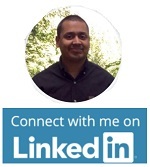 Learn my tricks and tips and your success in attribution is guaranteed. Understanding customers purchase journey is the no.1 requirement to fixing the attribution problem. If you fail to understand your customers then you have already lost the attribution battle. Well not just the attribution battle but almost every other battle in the business and marketing world. Interview your client, customer support and the sales people. Your client and his staff know more about their business and industry than you ever will. So it is imperative that you leverage their industry expertise and get a better understanding of their target market. 1. How do you define your target audience (age-group, gender, education, income, likings, ethnicity, lifestyle etc) and where majority of them live? 2. Who are your best customer types in terms of revenue generation and why? 3. What kind of relationship you want to build with your target audience? 4. What are the desires and expectations of your target audience? 5. What is the level of product use? Are your customer loyal to you? 6. What are the most common objections raised by your customers? 7. Who are the actual decision makers (who has the final say)? 8. What are the buying triggers? A trigger is an event that causes a person to get into a serious buying mode. For example you might have a vague interest in going to Seattle. This might have caused you to browse the web for hotels, flights etc. But an upcoming Mozcon event could act as a trigger that makes you seriously look for hotels and flights. I have just given you few examples. 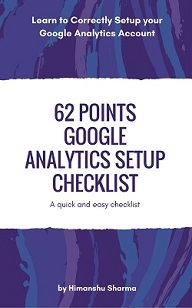 Start your analysis by understanding the decision criteria framework of your customers. In case of fast moving consumers goods (like toothpaste, milk, soap, vegetables etc which are bought frequently) least amount of consideration and evaluation is involved before making a purchase. It is highly unlikely for someone to visit half dozen reviews websites, product comparison and coupon websites just to make an informed decision on buying a toothpaste. Often in case of FMCG products, people already know what they want to buy. They already have set decision criteria in their mind (like certain model or make). So they just go to the store and make a purchase straightaway. However they are many products/services which require lot of consideration and evaluation before a purchase is made as they are bought occasionally. Often in case of such products, the decision criteria framework cannot be established quickly because of ever changing specifications which results in a long sales cycle. People don’t buy a new car ever week. So when they do think of buying a new car, there are not really sure what they are looking for in the new car. So they need to do lot of research just to determine the ideal specifications of their new car. Once they have determined their ideal car’s specifications they have established their decision criteria framework. Once the decision criteria is set, consideration and evaluation begins to take place and ZMOT occurs. There is no attribution without understanding ZMOT. Zero Moment of Truth or ZMOT is the moment which occurs after the customer has been exposed to your brand, but before a purchase is made. 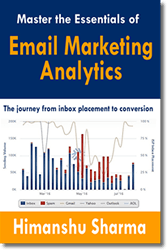 You need to find ZMOT sources and optimally allocate your marketing spend across them. You need to determine that if you invest in multiple ZMOT sources, then how much incrementality does each ZMOT source can bring to your company’s bottomline. 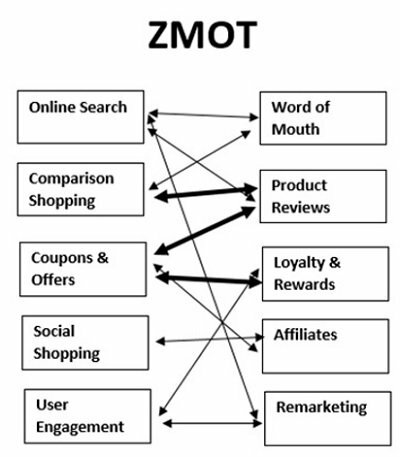 ZMOT is the most powerful moment in a customer journey to purchase as it shapes the consumer’s purchase decision. Consumer Barometer With Google is an excellent tool to understand how certain acquisition channels assist conversions in your industry and how the length of the customer journey impact the order size. Without such understanding, you could negatively impact your brand awareness, if you dump campaigns which play key role in initiating conversions. By ‘proper’ I mean, investing considerable amount of time and resources in conducting the research. Market research is an excellent way of understanding your customers. Conduct surveys, do A/B testing (see what works and what doesn’t work), hire a market research agency. Buy market research and industry reports from companies like Experian and read them from page to page. The level of insight that you will get from such reports is unparalleled. 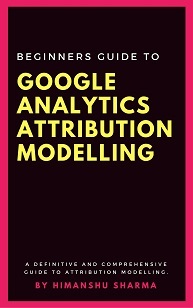 Both Google Analytics and Google Adwords attribution modelling is based on only ‘known’ touch points, i.e. the users’ interactions which can be tracked and reported in analytics and adwords. Thus there is no guarantee, that your users’ conversion paths contain all touch points and provide complete picture of customers’ purchase journey. Data integration is the key to fixing attribution issues. You should always aim to minimize the number of missing touch points in your conversion path by integrating as much data as possible from different data sources. Attribution is much more than Google Analytics. 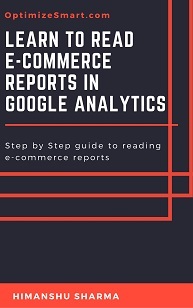 It easily goes beyond Google Analytics. Don’t limit yourself by just using the GA attribution tools. You are not limited to just what you can achieve through Model Comparison Tool and Multi-channel funnel reports. 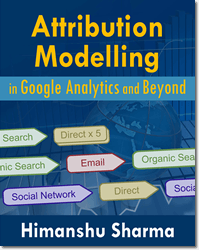 There are lot of attribution modelling softwares out there which can provide much more robust attribution solutions than Google Analytics. You should definitely consider them esp. if you are a big company. More flexibility in terms of creating attribution models and applying credit rules. In a conversion path, not all touch points can be equally valuable. The acquisition channel which assists the most should get the maximum credit for conversion and maximum resources are allocated to it regardless of it being the first touch, last touch or middle touch. All other touches should get credit in proportion to their contribution in the conversion path. 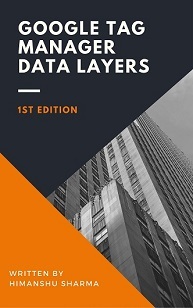 Data driven attribution (DDA) model is an algorithmic attribution model. 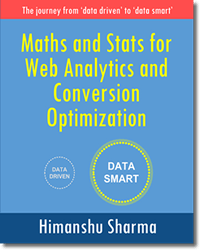 What that means, it uses algorithms (predictive algorithms) to find and analyse statistically significant data from multiple data sources (Doubleclick Campaign Manager, Google Adwords, Google Search Console, YouTube etc) and then assign conversion credit to four most influential touchpoints in a conversion path, in the last 90 days prior to conversion. These touchpoints are reported by the ‘Model Explorer Tool‘. 1. Data driven attribution model is the first generation of real world attribution model. Because of that attribute it has the ability to provide a better picture of the conversion path followed by your customers than any other attribution model. 2. Data driven attribution model takes into account your: business model, marketing objectives, sales cycle, customers’ activities and seasonality as it allows you to assign credit to different marketing channels/touch points (both online and offline) in proportion to their contribution in the conversion process. Thus it provides more flexibility than linear, position based and time decay attribution models ever will, in terms of credit distribution. 3. 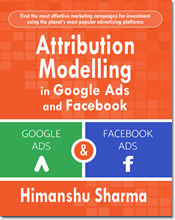 The usage of Data driven attribution model goes beyond Google Analytics. Because of this attribute it faces less issues of ‘missing touch points’ than the traditional Google Analytics attribution models.